After all them exploits in the big smoke of Rockliffe's Babies old Rockliffe has decided he wants to view the beautiful beaches of Thomas Hardy's Wessex instead of the gritty, claustrophobic streets of North London. And it's in the relatively quiet town of Maidenport that Rockliffe believes he'll find his lungs getting cleaner by the day and the scourge of fighting drug dealers in grotty squats becoming just a distant memory. But crime's crime, friends, and it's going to infiltrate every nook and cranny, so Rockliffe ain't just going to be sat in his office analyzing parking violations. No, dearie, in fact there's going to be murders, blackmail and even some good old fashioned burglaring. 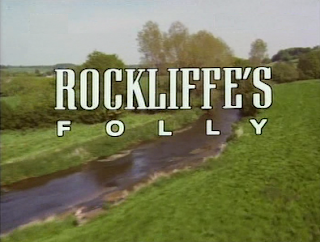 Rockliffe's Babies had finished airing in March 1988, but, quite inexplicably, the BBC decided to give the kibosh to the entire force apart from Rockliffe and then transport him to Wessex. Such an extreme makeover to a ratings winner caused rather a bit of consternation amongst cast and crew with one insider reckoning that the BBC were running scared of upcoming violence guidelines. Anyway, there were 7 episodes of Rockliffe's Folly which were around 50 minutes each and were beamed out to the nation on Wednesday evenings at 8pm. 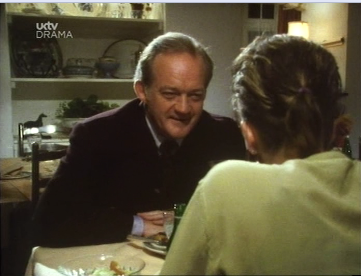 The series was only shown once on terrestrial TV, but it received at least one repeat in the mid 00s on UKTV Drama. The series was set in Wessex (a now fictional county), but the majority of filming took place in Dorset with Weymouth the real location of Maidenport. 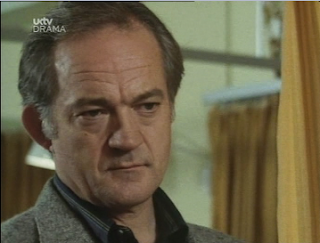 A myriad of writers contributed scripts to the series and one of these was by series creator Richard Keefe. Thanks to the fairly recent repeats on UKTV Drama, it's pretty easy to bag yourself a copy of the entire series on DVD. Although Babies wasn't perfect, we certainly enjoyed the grit and grime of 80s London as the fledgling detectives strived to match the talents of Rockliffe. And Rockliffe himself was of particular interest with his old school ways and rising temper. So, you'd think that we'd be tickled pink to have a bit more Rockliffe. However, from the opening title sequence where Rockliffe drives through lush countryside with classical music playing you know you're gonna have a different kettle of fish on your hands. It's in stark contrast to Babies where the opening sequence saw a police car flying over the Westway as a nightmarish child chorus sang of social unrest. 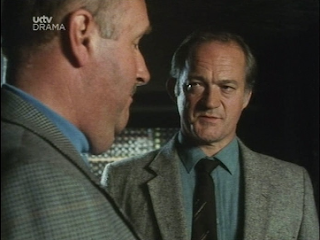 Now, Ian Hogg's a perfectly fine actor, but the frailties of the character shine through here when you're exposed to so much Rockliffe. We're exposed to hints of charm and he's still capable of flying off the handle, but we learn very little about the man over the course of each episode. And concentrating solely on Rockliffe weren't the greatest of moves. Sure, he was entertaining in small doses in Babies but without a strong supporting cast he's just not that interesting enough. 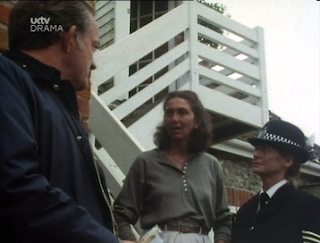 Yeah, he's got a station behind him, but they're pretty much shoved into the background apart from Sgt Rachel Osborne (Carole Nimmons) - even then she's only given a few scenes here and there to give the plot a bit of an expositional push. What Rockliffe needs here is some type of sidekick. A Lewis to his Morse. Someone to bounce ideas off and bring a little humour to the proceedings. We were pretty disappointed by Rockliffe's Folly after the entertaining Babies, but to be honest we dreaded the worst from the get go. Replacing the edgy energy of London's sprawling streets for the sedate winding streets of Maidenport is far too big a change. London's melting pot of communities made for some great dynamics between characters, but here in sleepy Wessex it's either middle class toffs or bumpkins. The series just about merits watching on a lazy Sunday evening, but it's a thrills free experience and only one for completists of the Rockliffe myth.